The self-explosion rate of tempered glass is closely related to the quality of the original piece of flat glass. The self-explosion rate of different batches of tempered glass of different manufacturers and even the same manufacturer will vary, generally ranging from 3% to 0.1%. Generally, the self-explosion rate is calculated in units of the number of pieces. The area size and glass thickness of the single piece of glass are not considered, so it is not accurate enough, and it is impossible to make a more scientific comparison. In order to uniformly measure the self-explosion rate, a unified assumption must be determined. Uniform conditions are determined: every 5-8 tons of glass contains a heterogeneous particle sufficient to cause self-explosion. The average area of each piece of tempered glass is 1.8m 2 , and the heterogeneous particles are evenly distributed. Calculate the 6mm thick tempered glass. The rate is about 3 ‰ to 5 ‰. This is basically consistent with the actual value of domestic high-level processing enterprises. The self-explosion of tempered glass is caused by local stress concentration in the tensile stress layer, and the stress concentration is caused by the pressure or microcrack propagation (small probability) at the interface between the impurity particles and the glass. 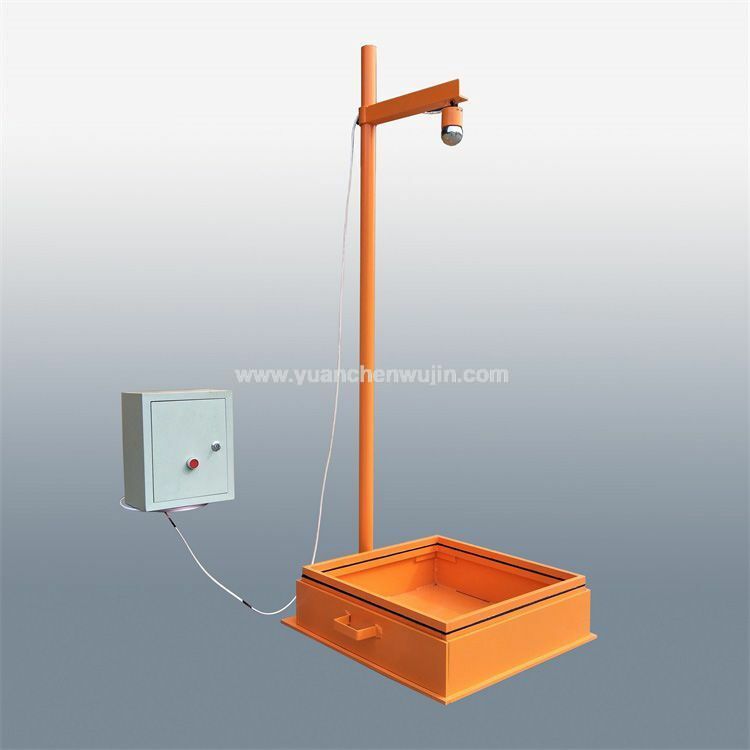 The interface pressure of the particles can be caused by various factors. It causes, for example, the phase transformation of nickel sulfide particles or the thermal deformation of other various impurity particles during the temperature change process (only the impurity particles whose expansion coefficient is completely consistent with the glass does not generate interfacial pressure). Therefore, there is only one direct cause of self-explosion of tempered glass, that is, local stress concentration, and there are various indirect reasons. The degree of stress concentration is affected by many factors, and the defects or impurities that cause such stress concentration are also various. It is more difficult and cumbersome to detect or predict each type of defect or impurity than to detect stress concentrations. Therefore, we only need to find a way to detect the stress concentration point, we can find the source of self-explosion risk. It can be tested with our Tempered Glass Testing Equipment. For glass with transparent materials, stress concentrations with large stress gradient changes are easily determined by photoelastic methods. In this way, we have determined our approach to risk detection and prediction - photoelastic scanning (CCTC patented technology). Next How Should Consumers Choose Tempered Glass?